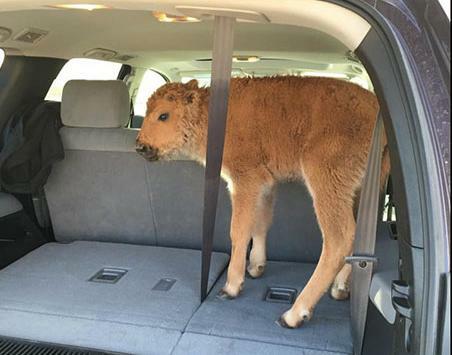 Some really stupid visitors to Yellowstone National Park decided that a baby bison they'd seen was "too cold," so they put it in their rental car trunk to warm it up, and drove it around for a while. After the herd rejected the calf, the National Park Service decided to kill (or if you prefer, “euthanize”) the calf, and warned tourists not to interact with animals. For, like, the billionth time. National Park Service officials want everyone who visits Yellowstone to know that adult animals, like this calf's mom and dad, can become aggressive when they're trying to protect their young. Mothers sometimes reject offspring that have interacted with humans. As Mark wrote here, the father and son tourists visiting the park in Wyoming received a ticket from Park Rangers for putting the bison calf in their rental car. As dumb as these tourists were, they're not alone. There have been several similar incidents this year in the park, shared on social media in which visitors ignore the rules, get too close to animals, and pose for selfies. In 2015, Bison seriously injured five park visitors, which makes them more dangerous by the statistics than any other animal, including predators like bear, wolves, or big cats. The newborn bison calf that visitors to Yellowstone National Park last week inadvisedly tried to rescue from the cold has been euthanized after efforts to reunite it with the herd were rejected, according to the National Park Service. Freelance journalist Jessica Grose has a fascinating "long read" in Slate this week (and I'm not kidding about the long part, 8,000 words!) 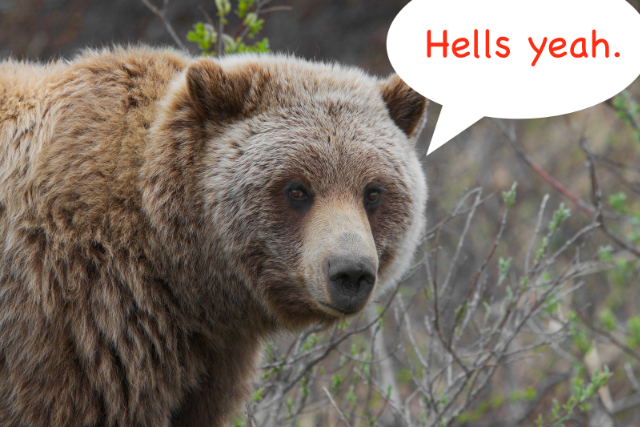 about Bear True Crimes: wild bears in and around Yellowstone National Park who, for one reason or another, attack humans. Why does this happen? What's it like for the humans who survive? Who investigates the attacks, all CSI-style with DNA analysis and whatnot, and figures out what to do with the problem bears? Is it right to kill them? The euthanization of the bear known as “the Wapiti sow” was the culmination of a series of horrifying events that had gripped Yellowstone for months, and alarmed rangers, visitors, and the conservation biologists tasked with keeping grizzly bears safe. 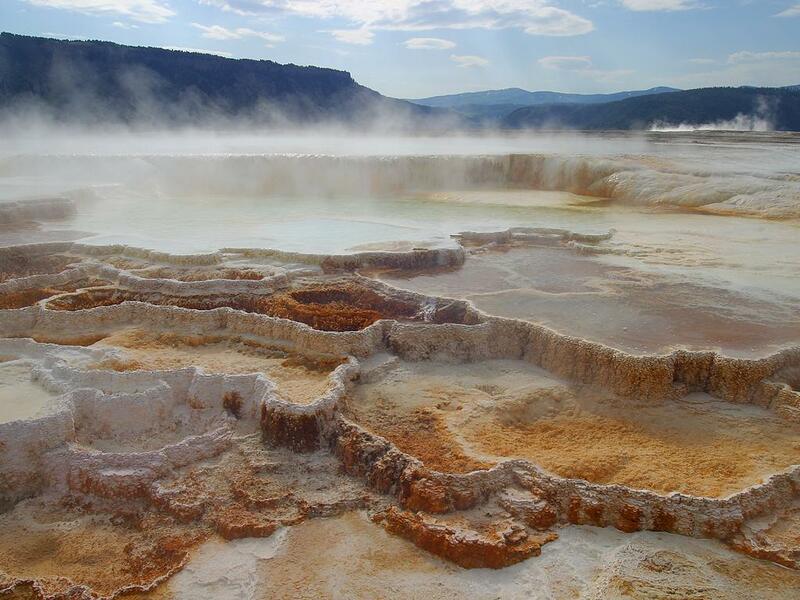 In separate incidents in July and August, grizzlies had killed hikers in Yellowstone, prompting a months-long investigation replete with crime scene reconstructions and DNA analysis, and a furious race to capture the prime suspect. The execution of the Wapiti sow opens a window on a special criminal justice system designed to protect endangered bears and the humans who share their land. It also demonstrates the difficulty of judging animals for crimes against us. The government bear biologists who enforce grizzly law and order grapple with the impossibility of the task every day. In the most painful cases, the people who protect these sublime, endangered animals must also put them to death.